For fans of Laura Lippman and Gillian Flynn comes an electrifying novel of stunning psychological suspense. A girl's memory lost in a field of wildflowers. Of course, these days just about every mystery is compared to Gillian Flynn, author of Gone Girl. However, Julia Heaberlin earns the high praise, but is definitely her own type of author. I am a big fan of mysteries, but I don't like gore. 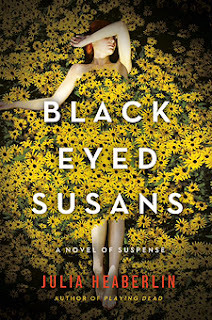 Black-Eyed Susans was the perfect book for me because it kept me interested from page one, had me in suspense, but wasn't graphic and scary like many other suspenseful mysteries, especially one about a serial killer! I am really looking forward to reading Julia's previous books, Lie Still and Playing Dead. All are set in Texas, but please don't let that deter you if you aren't a Texan! If you are a Texas resident, be sure to check out one of Julia's upcoming book signings celebrating the release of Black-Eyed Susans. More events listed on Julia's website. TO ENTER: Like author Julia Heaberlin on Facebook and leave a comment noting you have done so. ADDITIONAL ENTRY: Share this giveaway on Facebook or another social media site, then leave a comment noting that you shared. ADDITIONAL ENTRY: Leave a comment noting a favorite book you have recently read. ADDITIONAL ENTRY: Visit our Instagram feed @funky_finds & like the photo of Black-Eyed Susans for an extra chance! Giveaway ends at 6pm CST, Friday, July 31st, 2015. I liked your facebook page. Would love to win! I liked your Facebook page - Would LOVE to win! I LOVE the authors you mentioned! Also this is totally random, but there are a bunch of Black Eyed Susan flowers in the woods behind my house in Minnesota!! I liked your Facebook page. Am looking forward to reading your new book! 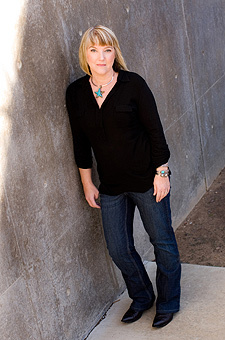 I recently read The Bronze Horseman by Paullina Simons. I really enjoyed it.